Bittersweet Enchantment: HUGE NEWS announced for The Selection series by Kiera Cass! || Revealing the cover for THE HEIR, book #4! HUGE NEWS announced for The Selection series by Kiera Cass! 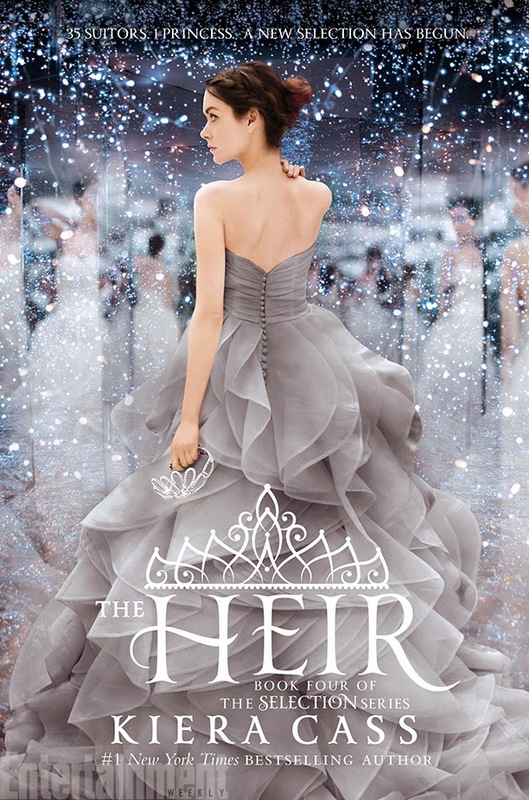 || Revealing the cover for THE HEIR, book #4! The selection fans rejoice! A BRAND NEW book in the series is announced! But wait there's two?! Coming May 5th book #4 in The Selection series by Kiera Cass will be released! Entertainment Weekly just today made this announcement and revealed THE COVER!!! Feast your eyes on THE HEIR!! Also you can watch a behind-the-scenes look at how the cover was made by clicking here. To read the official announcement click here. I am overjoyed to find out this news and to see the new cover! I really thought after I read The One (book #3) that the story had ended? Didn't you?! Such a awesome surprise! I can't wait until May 5th, 2015! The cover is beyond words! The best yet, I personally think. How about you? Do you guys love the cover or what? Did you know there was going to be a 4th or even 5th book in the series? I'm so excited about this!! I had read that there was going to be another book, but I had no idea that we'd be moving into the future and seeing America and Maxon's daughter! That's perfect!! Can't wait! I thought The One was the last book too (even despite not having read any of the books yet), but then as I kept checking up on Epic Reads' website about two or three months ago, I found out that there would be two more books. At the same time I found out that there was a poll going on where people had to guess what the baby's gender would be, only for us to be surprised it would be twins; one boy and one girl. But I totally agree with you! The cover is the best yet! Now I HAVE to read this series ASAP!